Let’s look at the four-hour chart. Tenkan-sen line has crossed Kijun-sen from above, forming Dead Cross reversal pattern. Chinkou Span is moving along with the price chart, current cloud is ascending. Under the pressure of the Cross the price has fallen to the upper border of the cloud, but couldn’t consolidate below it. The closest support level is once again Kijun-sen line (0.8263). The pair will meet a resistance at the level of previous maximum of Chinkou span line (0.8308). On the daily chart Tenkan-sen and Kijun-sen lines are getting closer. Chinkou Span line is crossing the price chart from below; current cloud is descending. 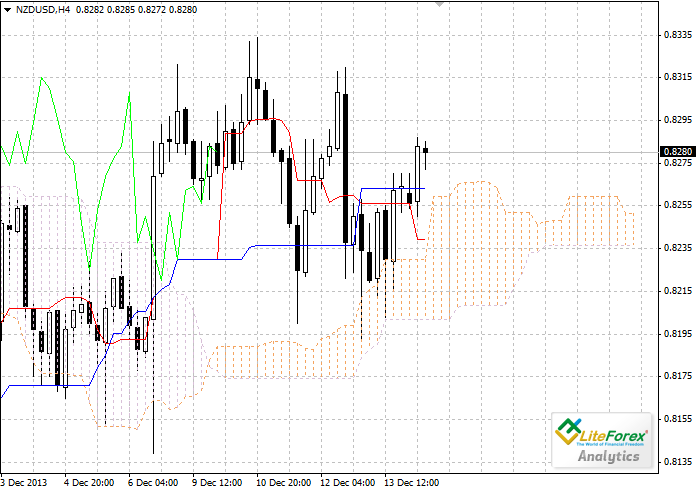 The pair is still trading within the cloud, its upper border is the closest resistance level at 0.8335. Kijun-sen line remains a support level at 0.8244. On the four-hour chart the pair is trading within a sideways channel. Long positions can be opened if Chinkou Span crosses the price chart from below and stays above it. 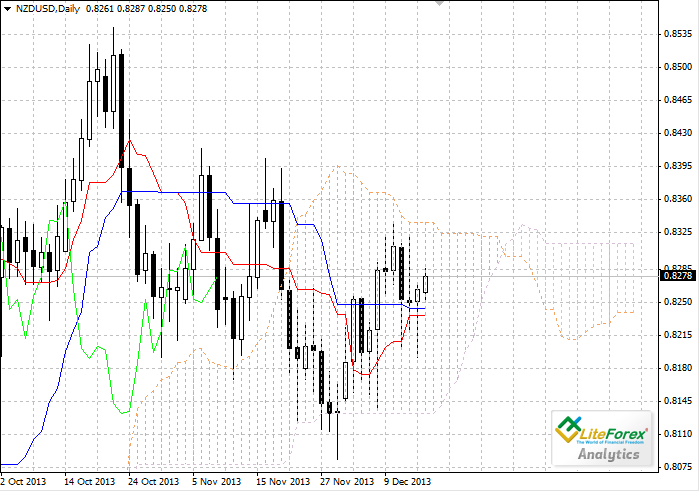 On the daily chart the pair is still trading within the cloud. Pending buy orders can be placed above 0.8335.